I now know what it must be like to have grown up with brothers. My cousin from JHB came to visit, he’s been down a number of times since Feb, but chose to stay for a weeked (pity he picked one with the worst weather). 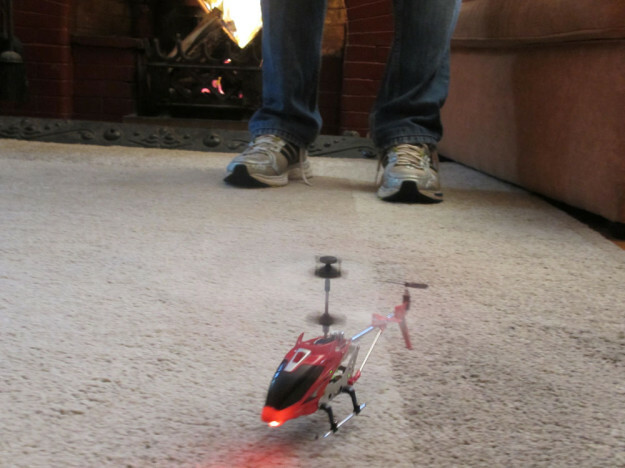 He and my mom went shopping yesterday and he came back with a helicopter. He’s a serious gadget kinda guy. 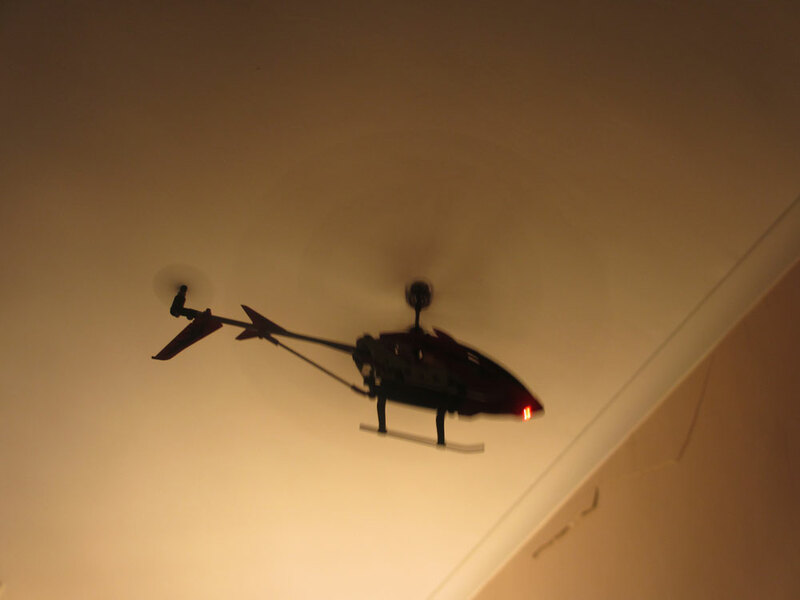 Ok when I say helicopter I should probably say it’s a toy one which is meant for indoor use. It’s not very big but man it packs a mean punch! John was zooming that thing about and trying to get a handle on the control he flew it smack band into the side of my face. Smack, I won’t lie it was pretty sore, but hey it didn’t take my eye out so I carried on with what I was doing. I glanced at myself in a mirror a bit later and realised the top of my lip was bleeding. Ouch! That helicopter was mean! John felt really bad and it was pretty amusing to have been smacked in the face with a helicopter. But I now realise what it would’ve been like to have grown up with a brother. None of that dolls and tea party stuff, it’s all about fast cars and flying stuff! Check at that thing go – it’s got some speed! This entry was posted in Play and tagged family, fun, toys.